VT was calling me, and raising a family in NYC was not what I wanted. I was offered a position to teach guitar building and repair with George Morris at Vermont Instruments and moved up North. I spent a few years teaching and building/repairing on the side. It was there that I had the great pleasure of meeting Michael Millard of Froggy Bottom Guitars . I took the leap and started building with them full time. It was an incredible experience and I learned so much about guitar building, dedication to a craft, hard work, and most importantly, myself. My passion for lutherie started during my senior year of high school, where I built an electric guitar in my woodshop class. After graduating, I took a brief detour to college, however quickly lost interest in what I was doing. It didn't take much thought in what I wanted to do instead. I enrolled in Brian Galloup’s School of Lutherie in Big Rapids, MI where I took the six-month masters course. In my time there as a student, I built a solid body electric guitar, two acoustic guitars and an archtop. After receiving my certificate, I was approached my luthier Sam Guidry, an instructor at the school, about starting an apprenticeship there. I accepted and spent the next year and a half working under Sam and the many other talented instructors there, including Brian Galloup. When the end of my apprenticeship drew near, I was lucky enough to be introduced to Adam Buchwald of Circle Strings, who met Sam at a guitar show. 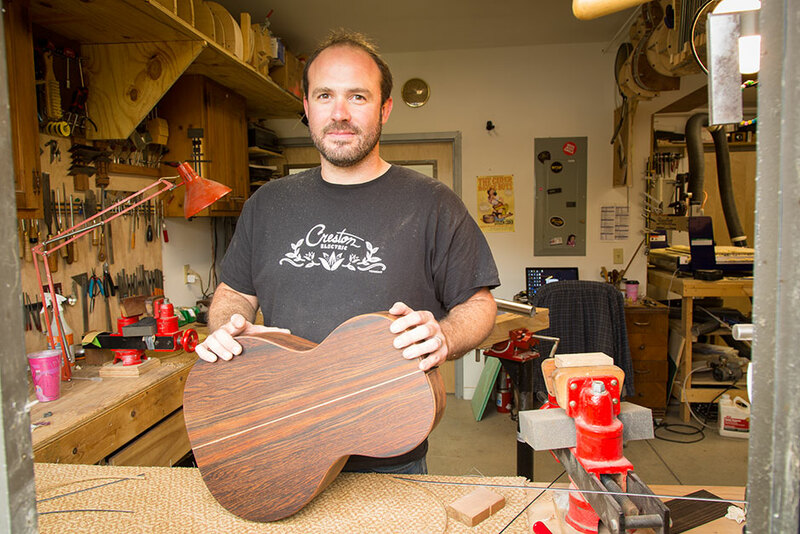 After speaking with Adam, it became clear that his shop in Burlington, VT was a perfect spot for me to continue my work as a builder of handmade guitars.